The President of the European Parliament on Friday slammed those he said were “sowing discord by deliberately ignoring laws” – comments clearly aimed at Catalonia’s separatist leaders. Antonio Tajani was in Oviedo, northern Spain, receiving the Princess of Asturias Award for Concord 2017 on behalf of the EU. “Catalonia is a region. If it does not respect the Spanish Constitution and is outside the constitutional framework, it is a problem for Catalonia. There are not two countries, not two parliaments. Catalonia is a region of Spain, a region with autonomy, but it is not an autonomous country. No one is going to recognise Catalonia in Europe as an independent country. It is a region of Spain. 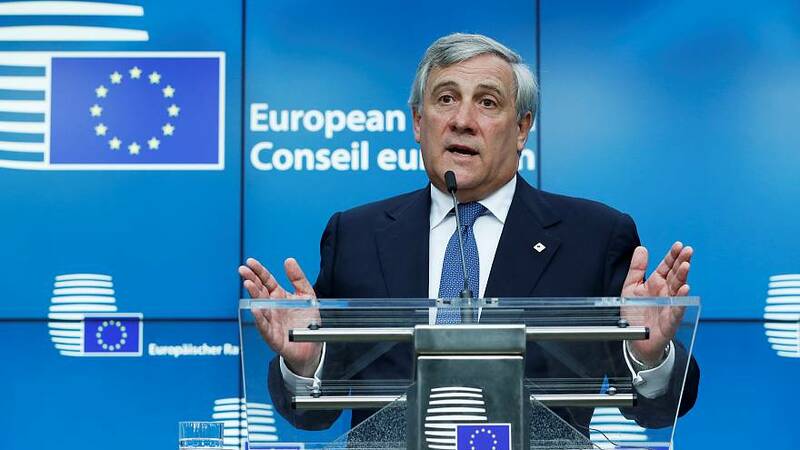 “No, there is no European mediation,” Tajani said, rejecting criticism that Brussels has failed to intervene, particularly following the violent police crackdown on Catalonia’s October 1 independence referendum, deemed illegal by Madrid. His message was music to the ears of Spain’s King Felipe who also spoke out in a strong defence of Spanish unity, at the ceremony.